Are you dancing yet? I know you’re singing it! 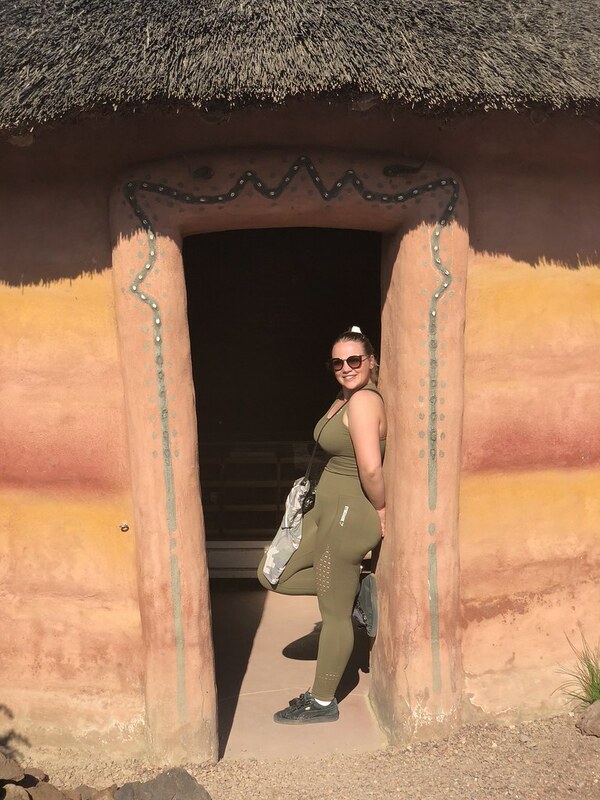 It’s now about 6 weeks after my last fit update , and I kinda have a lot of updating to do. But first I need to a little disclaimer. I have started the diet I’ll talk about below, purely of of personal reasons. For now, this works for me, this does not mean this diet will work for everyone. I am a medically trained person (physiotherapy and osteopathy in education) and I am fully aware of possible risks this diet may bring in the wrong circumstances. I try to create an environment where this is a safe diet, but I am not professionally trained in dietary recommendations. 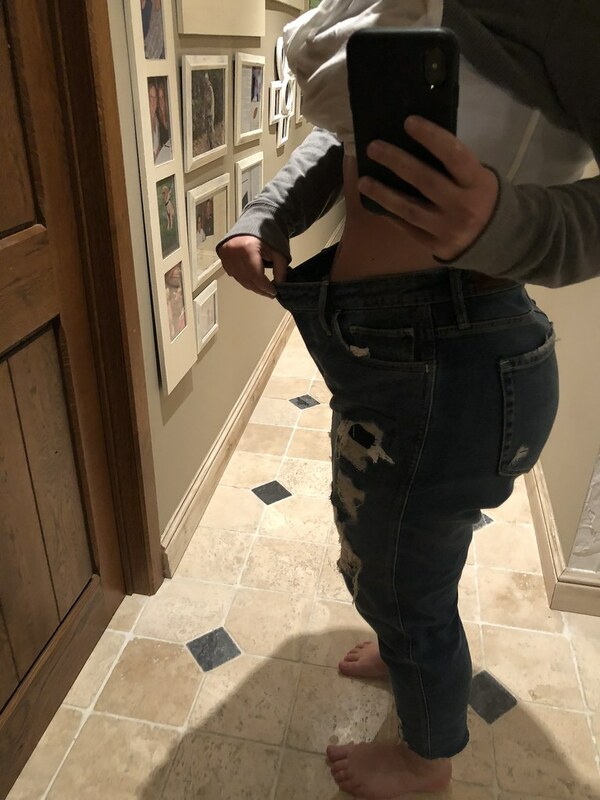 If you want to try this diet out yourself, feel free to take an example of this, or make sure you see a professional before starting this up. So this disclaimer probably makes it look like I’m on voodoo stuff, which is definitely not the case. I have started a protein diet, which I’ve compiled myself out of advices from people who used these same products, recommandations from the company (Body & Fit), my own knowledge of dietary recommendations taken from my education and just feeling my own body and it’s own reaction to these dietary restriction. I would like to thank Julie (@julievandoorselaer on Instagram) & Jaime (@thebeautybarbarella on Instagram) for sharing their personal insights and experiences with me, which helped me get started. The aim of protein diet is feeding your body proteins in all forms as a primary fuel, this to replace the carbs and sugars. In the old age, your body is designed to use fat as the ideal fuel, because it’s the must efficient way of energy production for your body. Unfortunately in the evolution, our body is taking the easy way out and has chosen the easy way of energy production, which is burning carbs and so sugar to produce energy. In a protein diet, you restrict your sugar intake, ‘forcing’ your body to run on proteins and fat. The upside of that is that the burning of fat and proteins is a lot more efficient, which means that burning one molecule of results in more molecules of ATP (which is the energy supplier for your body) than burning carbs and sugar. Another advantage compared to other diets, is that because of your high protein uptake, your body is less tended to start losing muscles in order to lose weight (because your muscles are built from protein). A pretty important oneliner to know is the following: fat can only burn in the flame of carbs. So you always need a minimum of carbs in your system if you want to burn fat. I started this chapter of dieting on Tuesday April 10th. I am using the products by a very reliable webshop called Body & Fit (link!). This website focusses not only on weightloss, but also supplementation, superfoods, bodybuilding and other sports products. I started off buying two kinds of protein: Smart Protein & Whey Perfection. Taking into account calories per shake, amount of protein per scoop, amount of carbs and amount of fats. As you can see in the table above, there’s slight differences between these two. Smart Protein is more aimed at actual weight loss, while whey perfection is more a workout shake in order to have your body in perfect condition for building muscle. Especially the amount of fat is significantly higher in the whey perfection shake, that why I personally opt to have these as breakfast and another one as lunch or dinner if I’m sure I’ll be working out, if not I recommend to have Smart protein as your meal replacement. 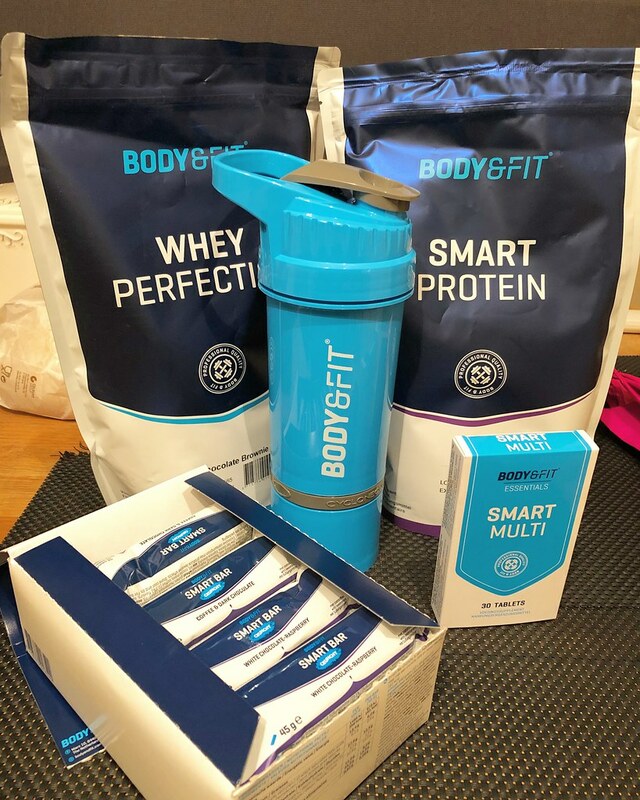 The smart protein shake definitely has a more puddinglike texture, which makes you feel a lot more full after having a shake, while the whey shakes are a lot more liquid. Both kinds of protein come in a lot of flavours and pack sizes, so there’s something for everyone. You can make the shakes with milk or water, up to your personal preference. So far I have tried the flavours Vanilla & Frozen Cappuccino (Smart Protein) and Watermelon & Chocolate Brownie (Whey Protein). I love all of these, because they’re full of flavour and don’t taste powdery. In addition, I’ve also bought the Smart multivitamin, which is not really necessary, but a bit of vitamin doesn’t ever do harm. As a snack, I’ve opted for the Crunchy Smart Bars. Most important to me was finding product that actually taste nice, which helps me to keep going into a diet and keeps me motivated. I have decided for myself that I want to replace at least two meals a day by a shake. Most import is to listen to your body. At no point you should feel weak, about to pass out or anything like that. If I tend to feel weak, which was mostly at the start, I opted to have some healthy, actual food instead of another shake. I do avoid fruit, because they are also a source of (natural) sugars. The fructose (kind of sugar) in it, can leaving you craving more sugar, that’s my personal reason to avoid fruit at the moment. I am a bread eater, I love bread. I have bought superfood rice waffles to replace bread if I really want a sandwich with meat or cheese, I just have a rice waffles with it instead of bread. I think for me personally, bread is my main carb sin. 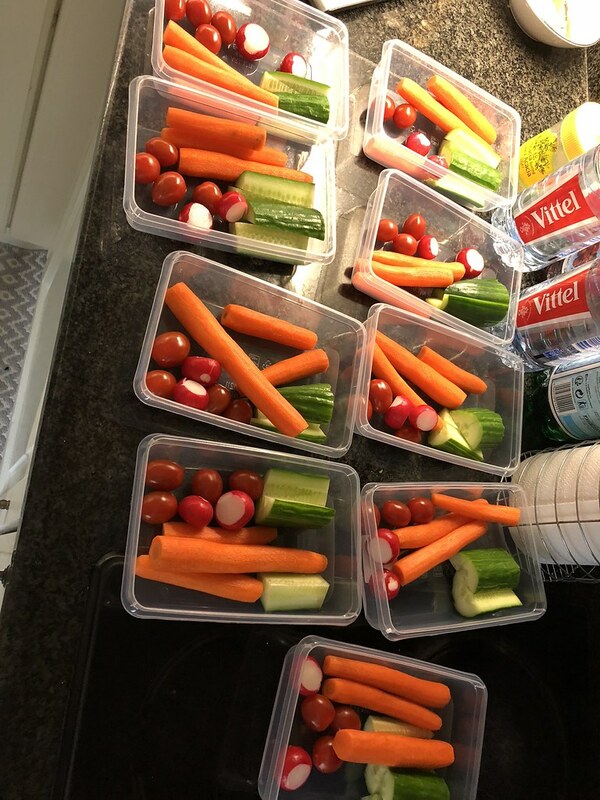 Snack 1: greens & vegetables like raw carrots, small tomatos, radices. All these are full of fibers, you can have as much as you’d like for not many calories. I usually also have a cup of soup. Lunch: hot meal or shake, depending on what my body tells me. If I go running at work during the break, I’ll prefer a shake. I do treat myself to regular cheatmeals (or maybe even two a day) and cut myself some slack during the weekend. I must admit the first 5 days were HELL! My body went to a very intense sugar delirium. I was tired, hangry and had to most intense headache I ever experienced. Feeling like that, I was already ready to give up. The motivation was that I did lose a few grams, so I decided to keep going. After surviving my first hell, everything has gone very positive. I feel full of energy, I do not wake up tired anymore. My body has gotten used to the loads of protein I take in and is adapting to it. I actually want to go out and work out now, which has been a long time coming for me. My skin is a lot more clear and my hair is very shiny. The transformation started showing rather quick, but not on the scale, but my body looked more tight after a good 10 days. Unfortunately I didn’t think to measure myself out before, so everything is just visual. On the scale, I was jojo-ing a lot since new year. At some points I was losing weight, but after a bad day all was back. Since my worst weight, I have now lost 4,6 kg, which equals around 10 pounds. Hydrate your body, drink loads of water! A protein diet can be heavy on your kidneys (see below). Switch it up, cheating is okay, but don’t cheat every day. Start by buying a starter kit or just a few products to last you a week or two. If this diet is right for you, you will feel a difference in your body after about 7 to 10 days. If this diet is not for you, at least you’ll not be stuck with a load of products. If it works for you, you can splurge on more products and try new things. Important is to pay attention to deep lower back pain or pain in your sides during this diet. Protein diet is heavy on the kidneys and pain in those areas could indicate that your kidneys aren’t handling the protein very well. I recommend seeing a doctor if these symptoms occur. I do still work out, mostly cardio. 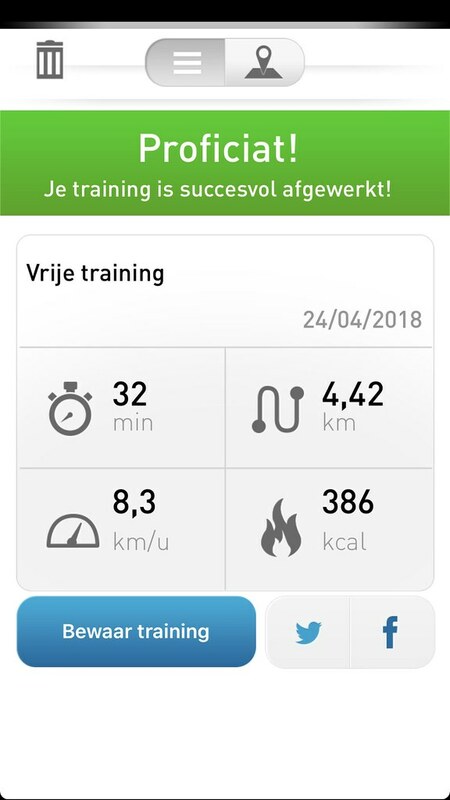 I have finished my start to run program which goes up to 40 minutes of running without walking. 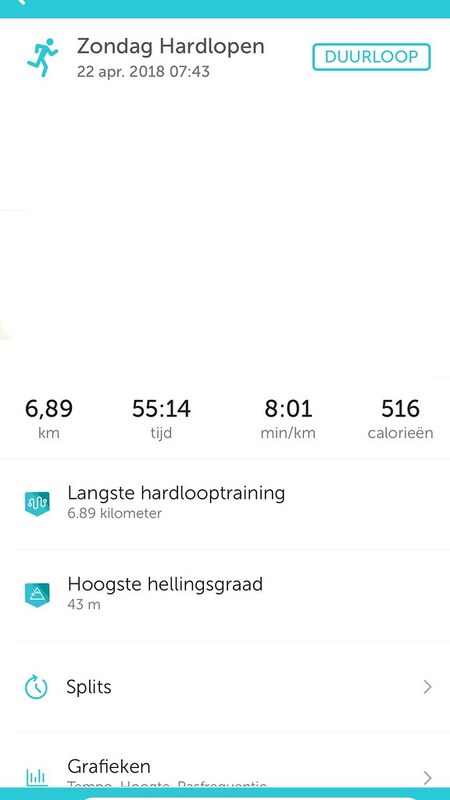 My last record is about 7km in 55 minutes without walking, which made me superproud! I have cut back on weightlifting and HIIT for now, because I want to focus on losing fat first. If you have any questions, please do reach out to me or a dietary professional! I’m not sweating, I’m sparkling! Keep sparkling! Previous Post Pirates… Princesses… Make your choice!